Washington, March 25: US President Donald Trump on Monday signed a proclamation recognizing Israeli sovereignty over the disputed Golan Heights, a border area seized from Syria in 1967. 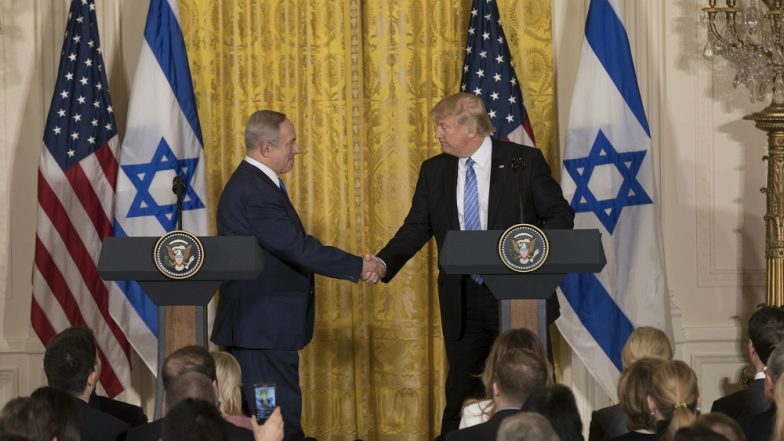 "This was a long time in the making," Trump said alongside Israeli Prime Minister Benjamin Netanyahu in the White House. Israel Army Accuses Hamas of Firing Rocket That Hit Near Tel Aviv.